When you close your eyes and think of Mardi Gras, what do you envision? Perhaps the glamorous parades splitting the crowded streets as beads, trinkets, and doubloons are tossed from adorned participants on floats. Maybe you see the colors of purple, green and gold which signify justice, faith, and power. Some may view something dark or supernatural with images of voodoo, zombification and Papa Legba. Movies and TV shows such as Tremé, True Detective, and James Bond’s “Live and Let Die” have depicted both sides of the light-hearted and darkness of Mardi Gras. Here in North America, we celebrate the rise of the New Year by staying up til midnight in our respective time zones to watch a lit shiny ball or, in one case, a Moon Pie drop from the sky. As the crowds' countdown to “1”, projectiles are shot in the air with the spectacle of colorful booming fireworks bursting against the black canvas of the midnight sky. The much-celebrated fireworks were first developed in Medieval China, which leads us to the topic of the Chinese New Year. February 4th sparks the celebration with reunion dinners with emphasis on creating thoughtful dishes to celebrate ancestors, much akin to how Southern families gather. 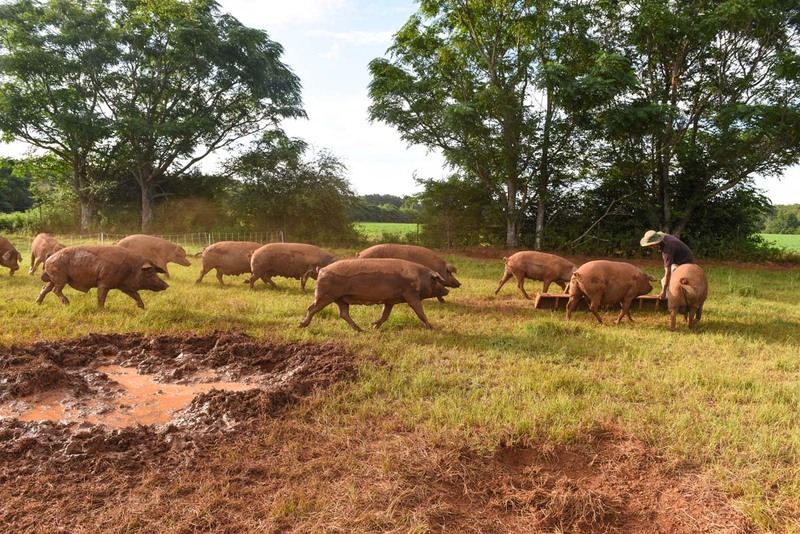 2019 celebrates the Year of the Pig with the distinction of the Earthly branch. With Thanksgiving and Christmas behind us, I begin reflecting on the year that has come and gone. There are always things I wish I had accomplished, but also those projects for which I’m proud to have completed. This valuable reflection allows me the opportunity to set goals (or resolutions) for the New Year. 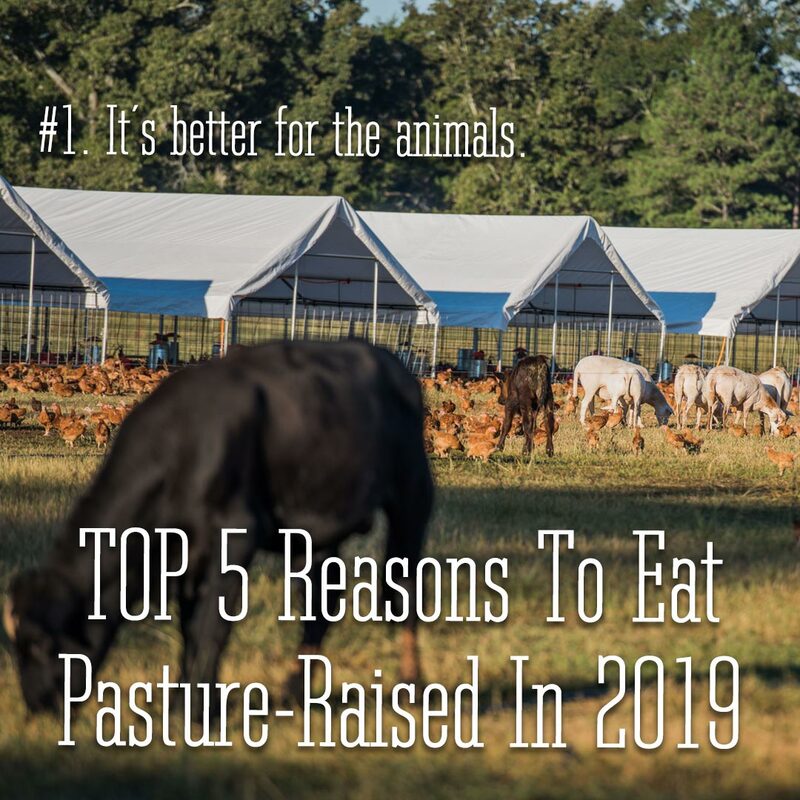 I hope while you all are planning your resolutions, you’ll consider making the commitment to only eat pasture-raised meats and poultry. I’ve put together my Top 5 Reasons below; however, there are even more reasons than any of us could possibly count. “It’s the most wonderful time of the year” joyfully echoes from the radio, and it is! However, they failed to mention that it is also the busiest, most hectic and quite honestly, the most stressful time of the year as well. When the stress of it all becomes too much, it’s important to take a deep breath and step away. 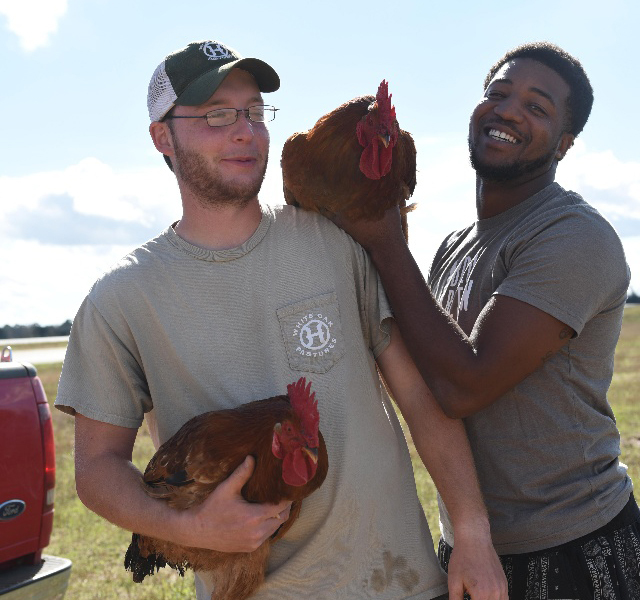 A quiet, peaceful day on the farm is the best remedy for holiday stress. 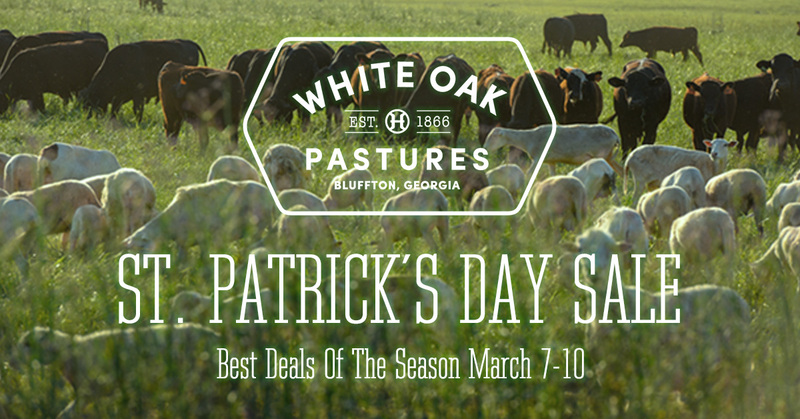 Please join us at White Oak Pastures’ General Store Open House in downtown Bluffton, GA on Sunday, December 16, 2018, from 1:00 p.m.- 4:00 p.m. It happens. Every. Single. Year. We blink, and here comes Thanksgiving, approaching faster than the previous year, and the rest of the year is history! 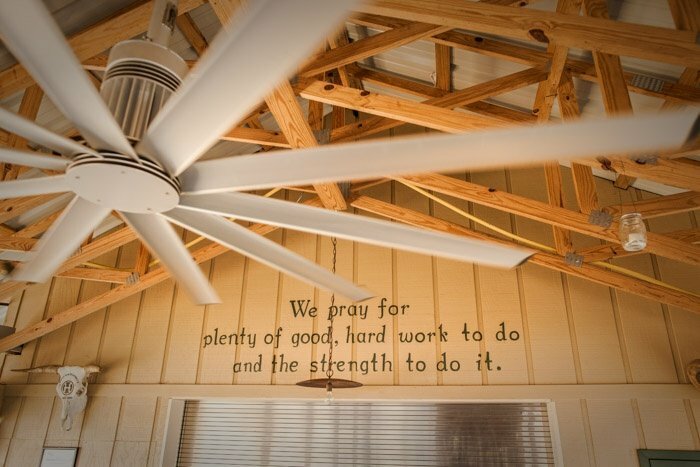 White Oak Pastures has so much to be thankful for on any given year, but particularly this year with hurricanes Irma and Michael ravaging through our little town of Bluffton and the surrounding areas. We were not left unscathed, but we endured both, and for that, along with a number of countless blessings, we are thankful. 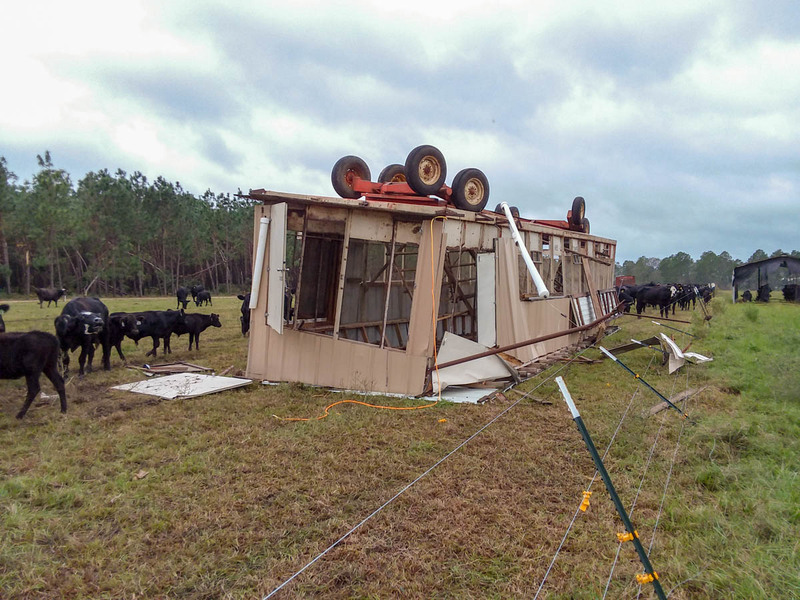 Last week, the White Oak Pastures farm family suffered through a direct hit from Hurricane Michael with sustaining winds up to 115 miles per hour. Will Harris shared that he has never witnessed a storm of this magnitude in Bluffton, Georgia in his entire life. 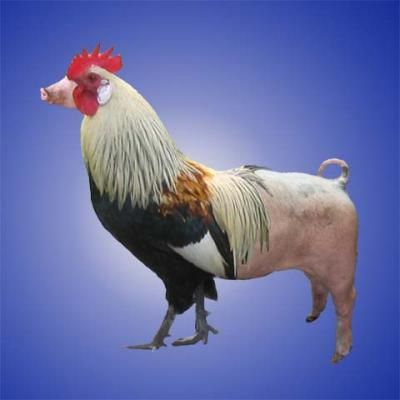 The livestock production staff, with the assistance from other farm departmental staff, worked endlessly in preparation to protect our livestock. Their tireless efforts paid off; however, we have incurred a substantial amount of loss. 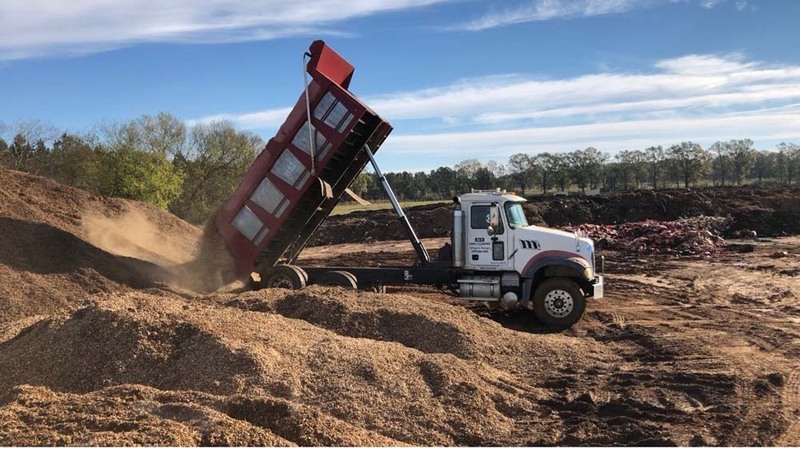 Although suffering from some livestock and structural damage, we are extremely grateful that our processing plants were strong enough to withstand Hurricane Michael. Online Shopping is Easier Than Ever! 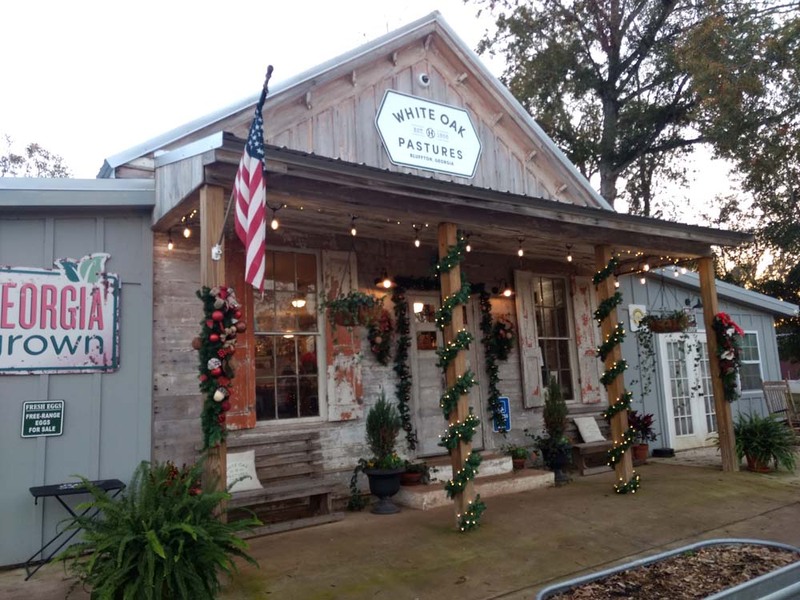 White Oak Pastures has always had a website, but over the years, we have worked to build our site to better serve our customers who shop for products or information. 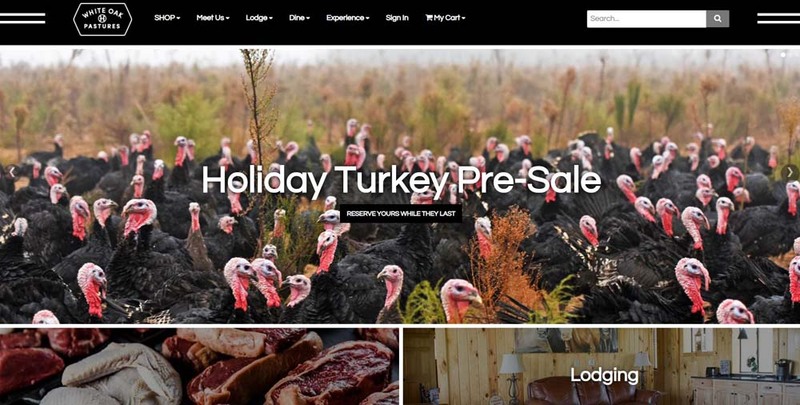 Today, we are certain we have the most efficient and user-friendly site.